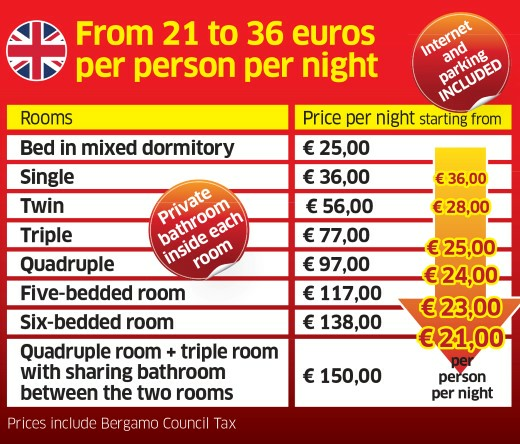 Prices @ Central Hostel Bergamo - Hotel Quality, Hostel Price! The hostel offers beds at a price starting from 21 euros to 35 per person, all inclusive. Some rooms are specifically designed for handicapped people. 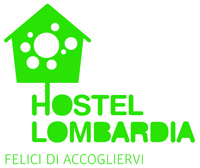 For further information please contact the staff of the central hostel Bergamo! TV Room with projector and the option to connect your consoles or laptops!